Two room apartment with a separate kitchen located on the second floor of a tenement house on św. Tomasza street is a great choice for couples and families as well as for business travelers. 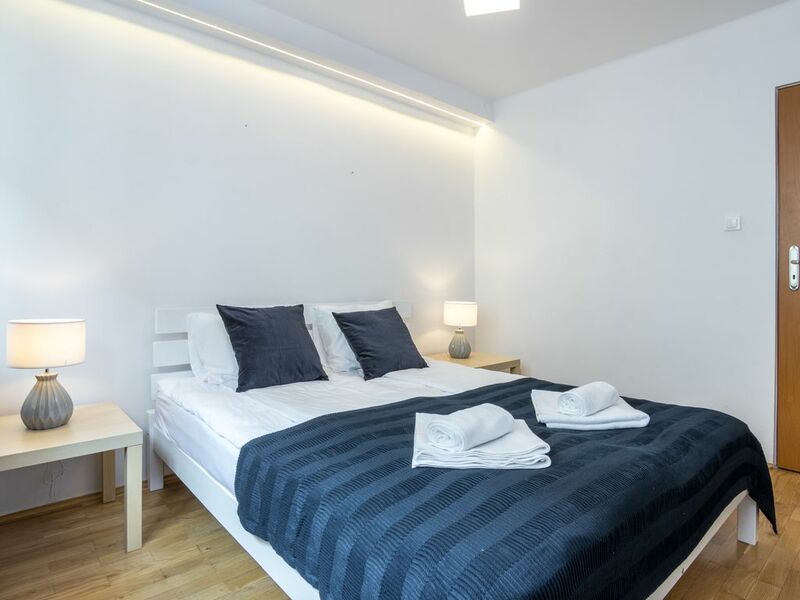 The Apartment consists of a hall with a wardrobe, a living room with two big, convertible sofas, a TV with wide range of channels and a dining table, a bedroom with a double bed and TV, modern bathroom with a shower and separate kitchen. Apartment is just right ….beautifully finished, right amenities, everything one may need for a stay, short or longer. The property manager/owner was a pleasure to deal with both before and during the stay. She was very helpful and accommodating. Next time in Krakow, we will stay in the same place for sure!